For many youngsters, their sporting icons are super heroes in their impressionable eyes. But it seems that the 2019 South African Super Rugby roster has taken that statement quite literally. 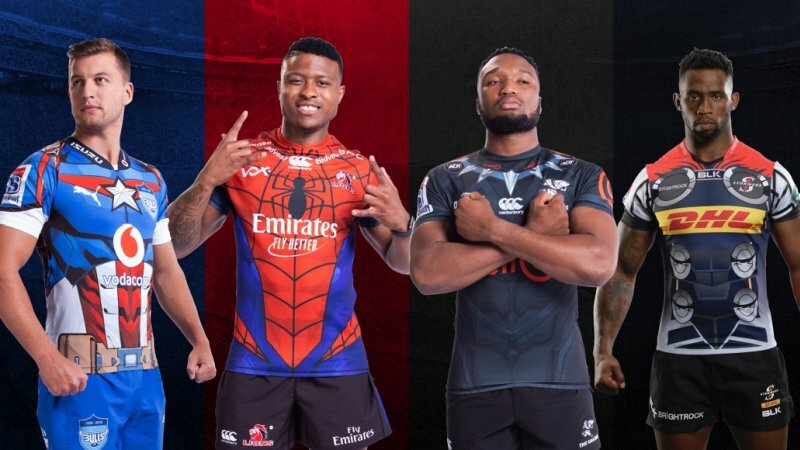 On Tuesday, SuperSport, Vodacom, Disney and SA Rugby unveiled Marvel-inspired super hero jerseys that will clad the Bulls, Lions, Sharks, and Stormers in this year’s tournament. Each team is backed by a different hero. The Bulls will wear a Captain America style shirt (which looks pretty dope). The Lions will be supported by Spider-Man (which is a strange combination). The Sharks don a Black Panther suit complete with necklace. And finally, the Stormers have a Thor-like cape fit with fake abs. And yes. The teams will be playing their local derby matches in these kits, noted Sport24 in a report. It’s all very Civil War-ish, isn’t it? For those who were just now graced by this year’s Halloween costume idea, the kits will be available to purchase in February. The first official Marvel rugby match-up will take place at Cape Town Stadium on 3 February.